Welcome You to Martin Hill Inn! Spring is here! At least the crocus think so. I’m not quite sure, though a couple days ago I was able to get outside to start the garden. We have a lot of work to do to get it ready for summer, and luckily I love working in the garden. There are signs of Spring all over Town. Hope to see you sometime soon. Portsmouth is so pretty in the Spring – and (secret’s out) there aren’t the Summertime crowds. For those of you who are really really late with your Christmas shopping Gift Certificates are still available on-line. They make memorable holiday gifts (even if the holiday is Easter) for friends and family! 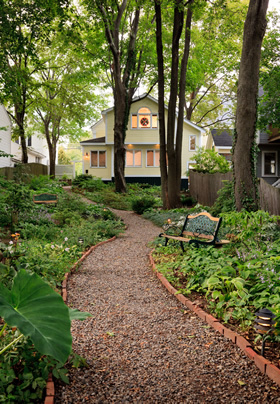 Make your visit to New England memorable with a stay at our bed and breakfast in Portsmouth, New Hampshire. 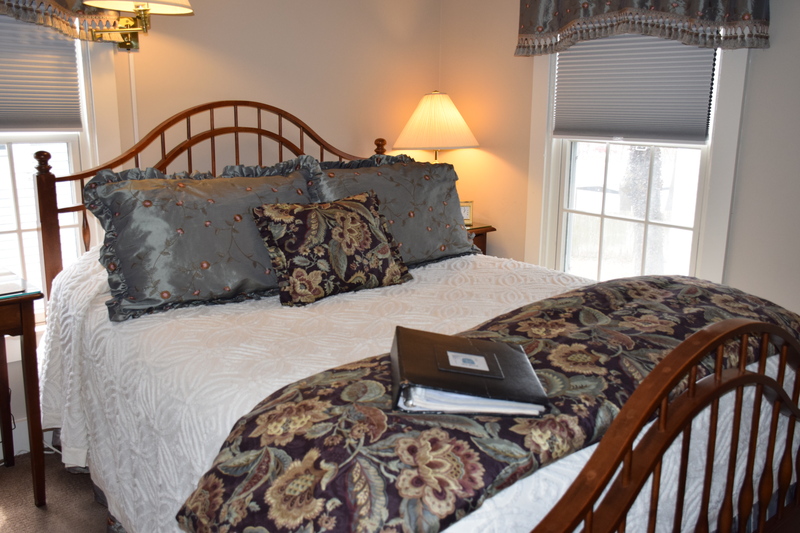 Situated just a 10-minute walk into downtown’s Market Square, our B&B is your home away from home while exploring more than 380 years of New England history. Located only an hour from Portland, Manchester, and Boston, Portsmouth is home to some of the seacoast’s best local shops, theatre and musical attractions, historic homes, and finest restaurants. Our friendly and helpful staff is always happy to suggest local attractions and make reservations at the area’s best restaurants based on your unique tastes and interests. Inside our two early 19th-century buildings, each of the guest rooms is uniquely appointed and features a luxurious queen or king bed, private en-suite bath, reading chairs, original artwork and antiques, as well as modern conveniences such as end-table refrigerators, complimentary Wi-Fi and flat-screen TVs. Our two-course full breakfast is served in our inviting dining room. We offer such epicurean delights as homemade muffins and scones; and peach-raspberry crumble; savory omelets and quiche; mouth-watering waffles, pancakes and stuffed French Toast. We are proud to offer locally grown and locally sourced food. With advanced notice, we are pleased to offer gluten-free, vegetarian, vegan, or lactose-free breakfasts for our guests. Breakfast is included in the room rate. On a warm summer afternoon, savor a glass of wine or a refreshing ice tea in our cool shade gardens, while discussing dinner plans or tomorrow’s activities. A hot coffee or fresh pot of loose-leaf tea and homemade cookies await your return to Martin Hill Inn on a snowy afternoon. We look forward to helping you explore the town that National Geographic Traveler Magazine ranked #6 on its list of Most Historic Places in the United States. See you soon. go to: portsmouthnh.com to find the latest! For live music listings and all the other things Portsmouth has to offer, check out the events calendar at portsmouthnh.com and at www.portsmouthchamber.org/. #1 Frequently Asked Question: How far is the Inn from downtown Market Square and the Portsmouth shops and restaurants? Answer: 10-15 minute walk or 1/2 mile.